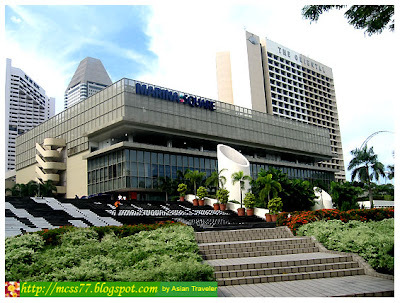 Later on we went to Marina Square, the newly revamped 700,000 sq. ft. shopping mall in Singapore. It comprises four levels of shopping with more than 300 shops such as Buffalo, Massimo Dutti, Zara and East Zing, a home and lifestyle store, Earz, a CD depot for used and new CDs, and Miniature Hobby, a store for toy collectors, Marina Food Loft (a hawker fare from two mini restaurants and three zones of local, international and halal food stalls in a designer-style setting), and a giant hypermart. 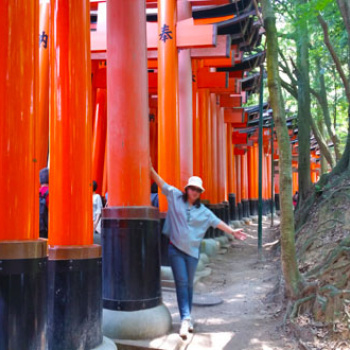 It has an easy access to and from Suntec City, Citylink Mall, Millenia Walk and the famous Esplanade theatres. The complex also houses three hotels - The Oriental Singapore, Marina Mandarin Singapore and the Pan Pacific Singapore. 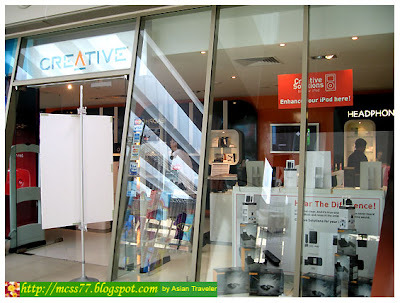 We went straight away to Creative Store located on the second floor. It houses the most comprehensive range of Creative's Personal Digital Entertainment (PDE) products such as MP3 Players, portable speakers, headphones, speakers, audio products (internal and external sound cards), web cams, input devices as well as prodikeys dual-function keyboards. The Creative Store aims to provide an enhanced shopping experience where customers can get a better understanding and can also test-drive the latest products. 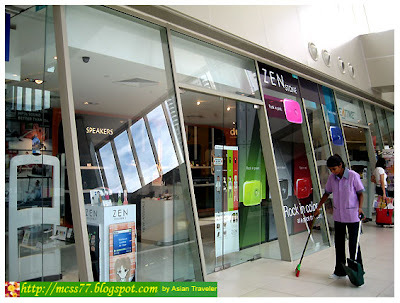 Hb bought more than a few sets of small and trendy Zen V MP3 Player (S$ 200.00), which features a brilliant full color of 1.5" OLED display. And 1 set of Muvo v100 (S$65.00), that offers the ultimate convenience from its 2-piece integrated USB flash drive design and supports both MP3 and WMA formats. 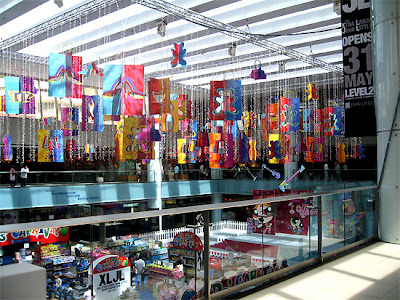 We also caught sight of "Kids Carnival" by John Little located on the ground floor. 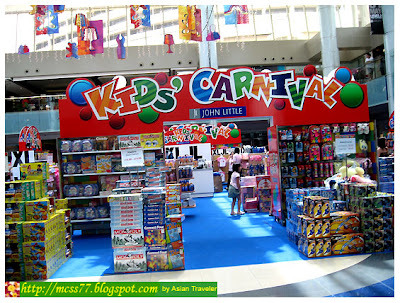 It offers a comprehensive range of children's merchandise, ranging from fashion finds, toys and many others. A 10-minute walk from City Hall MRT station or walk through Citylink Mall to reach Marina Square.